Finding a dentist that focuses on kids first, pediatric dentistry is a great choice. There are many great general dentists to choose from, however, pediatric dentists chose their specialty to focus on children only. Dr. Zak has been in practice for over twenty years and decided what better way to relate to children than to build a “Tooth Fairy Castle”. Dr. Zak enjoys working in a castle and he also has a play area which is a castle as well as a tooth museum with dinosaur teeth for children to touch, see, and learn about. 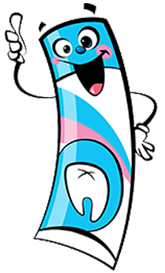 At the “Tooth Fairy Castle” where our focus is pediatric dentistry we serve Rockford, IL and the surrounding areas. When choosing your dental home, consider our focus on kids first, with pediatric dentistry as our main goal. We strive to serve your child in a fun and safe environment.